To make your life easier, you no longer need to worry about remembering your Notejoy password. When you want to login, just type in your email address and press Get Login Link. 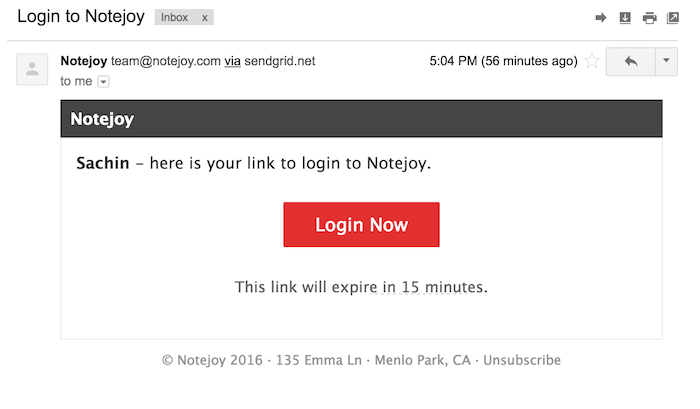 Then you'll get a secure link delivered right to your inbox to allow you to quickly jump into Notejoy.